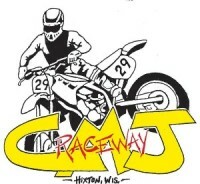 For the upcoming 2-day hillclimb event at CMJ Raceway in Hixton, WI…Northfield Cafe will be on hand Saturday evening to take breakfast orders, which will be delivered early Sunday morning. And don’t forget you can get a discount on entry fees if you ride the hare scrambles and the hillclimb too! Also, registration is now open for the dual-sport ride being hosted by Valley Springs M/C – you’re not going to want to miss it if you’ve got a street-legal dual-sport bike! Free event t-shirt, lunch, dinner, and even free camping if you want! Go check it out at www.ValleySpringsHillclimb.com!